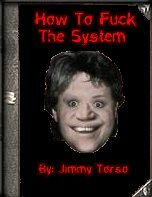 Warning: Read this book at your own risk may cause lose of brain cells and perment brain damage. In some cases your brain will shut down and you will go mentaly retarded. ©Jimmy & The Jawbreakers and Jimmy Inc. All rights reserved.